Joe’s Glass Co provides auto glass replacement to Kirkland, Washington. For over 15 years we have serviced the Kirkland area with auto glass replacement, auto glass repair, chip repair, RV glass replacement, and RV glass repair. Our technicians will drive out to you in Kirkland and replace your glass while you’re working, at home, or any time your car is available. If you would like to bring your vehicle in please stop by our Everett location or call us at (425) 353-4000. Get your RV glass replaced in Kirkland without having to travel or move your RV. With our mobile technicians we can drive out to your home or work in Kirkland and replace your RV glass so you can relax and enjoy your day. Get ready for a new trip, or ensure you have clear vision on your RV by getting the glass replaced when it cracks or if the glass is weathered. Because an RV is such a big vehicle RV glass is even more important than auto glass to keep clean and in good shape. At Joe’s Glass Co, we are a preferred auto glass supplier of all insurance companies and glass networks in and around Kirkland. 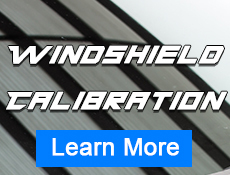 We ensure you get the OEM equivalent replacement glass including any features like heated wiper park, electrochromic mirror, heads up displays, or rain sensors. For our Kirkland service area our professional auto glass installers have experience with all different make and models of glass or vehicle and each installer is fully trained to treat every customers car like their own. At Joe’s Glass Co, customer satisfaction is our priority and with 15 years of satisfied customers, you can feel secure using Joe’s Glass Co for your auto glass replacement.